I have been trying not to think about doing a big year. 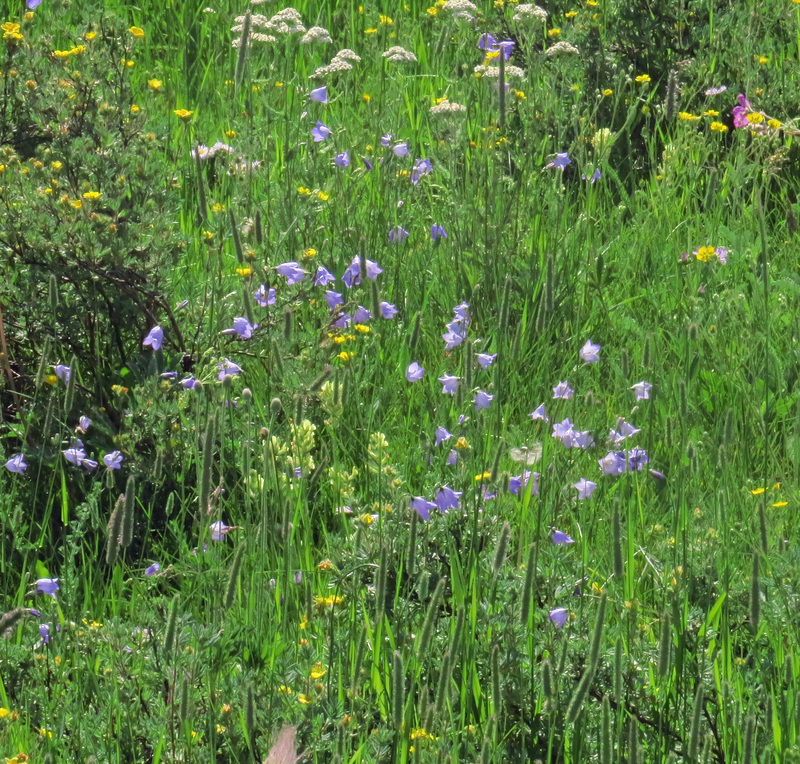 The days are beautiful, and even a nutty birder like me finds things to do that aren’t birding. So, actual days go by when I don’t think (much) about my current big years, and much of my birding is not looking for big year birds, but participating in local bird surveys and field trips. There are so few new birds possible right now in Pennington County, even for the big year that I began July 1st. Every now and then, I wander to the eastern side of the county about 50 miles from my home to the Wall sewage ponds and a farm lake/pond north of Quinn, the only likely spots in the county for shorebirds. Nearly everywhere else in the county where there was water in the spring is now dry, in spite of our having had a really good early summer for rain, particularly as compared to last year. I think I’m conserving my strength/gasoline for the hoped-for later shorebird influx. Even though birders in eastern South Dakota have been seeing great hordes of shorebirds for the past few weeks, the early shorebirds this far west in the state have been fairly sparse. It’s too bad that our very elongated Pennington County isn’t even more elongated, but that’s the way it is. Pennington County goes all the way to the Wyoming border on the west, so at least we have lovely Black Hills birds in Pennington County even though our shorebirds are a bit sparse. My most recent “special” bird in Pennington County was the result of a search in the far western hills of the county. I had heard that sometimes in years past it has been possible to find Clark’s Nutcrackers over there, and there was one recent eBird report too, so on July 18th I went to an area of the state I had not explored before. 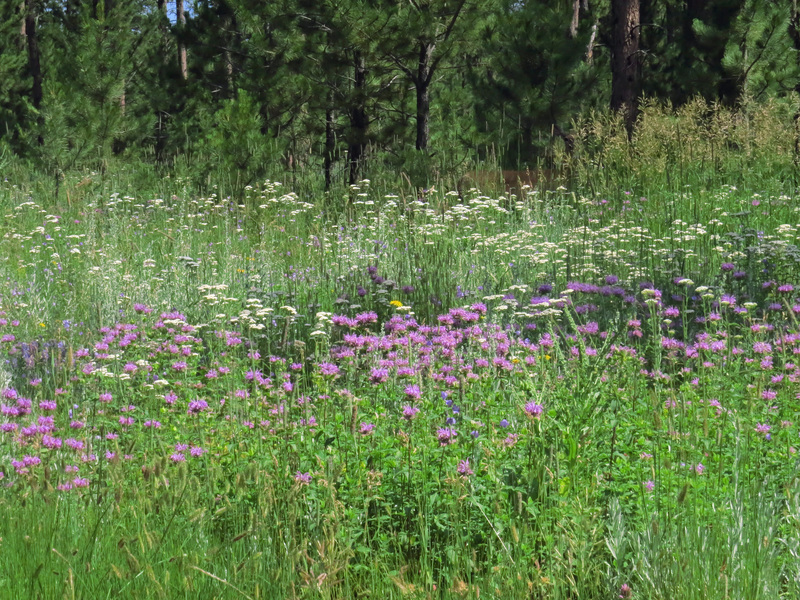 On a narrow gravel road, west of most of the hills themselves, I wound my way through piney areas and open flowered meadows, looking and listening. 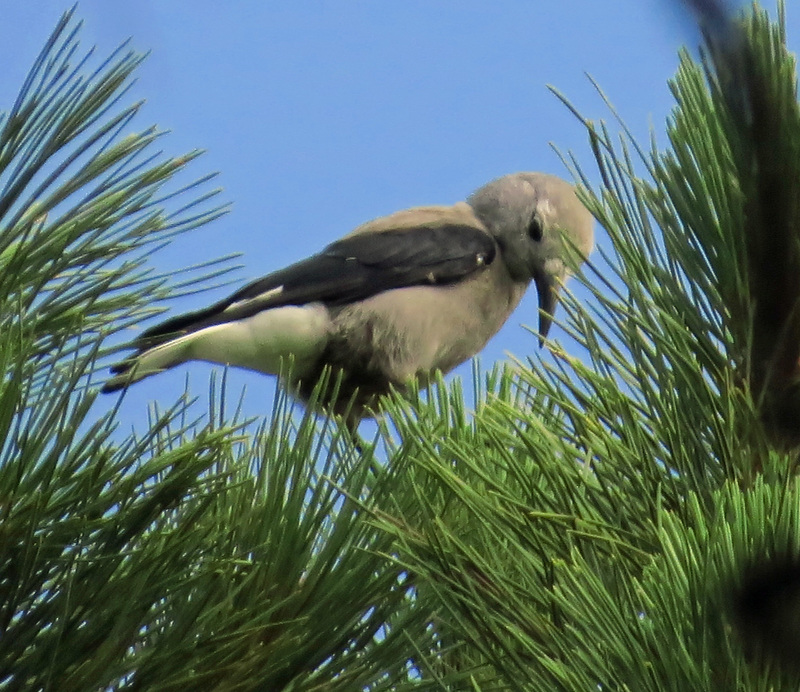 As I came to an area of mostly pines, I heard a distant raspy call, and then a single Clark’s Nutcracker flew into the top of a nearby pine. In all my South Dakota birding, I had only seen two other Nutcrackers, flying overhead last winter, not in Pennington County. I was delighted to add it both to big year A (begun January 1) and big year B (begun July 1). But now, I’m trying not to think about big year birding for a while, at least not until later in the week, when I just have to go over to Wall and try again. The elephant comes and goes.